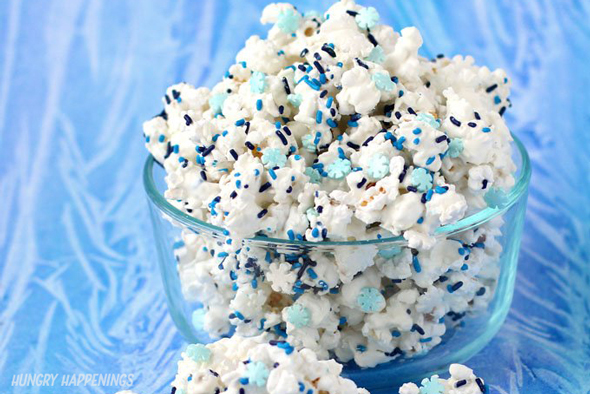 *For really bright white popcorn use Bright White Candy Melts. For detailed information about working with and melting chocolate please see my Chocolate Making Tips page. Pour out onto the baking sheet and immediately toss the sprinkles and snowflakes over top. Wack the pan on the counter a few times. This helps get the candy to stick.